What happens when hackers get a hold of your company's website? One thing they can do is inject code into your website files so that when people visit your site, they get directed to other web pages that generate revenue, publicity or worse, for the hackers. They can also get into your database and change your logins so you no longer have access to your site. When they do this, it's pretty much the opposite of having a professional web presence. To fix your site, the only way to make sure all the infected files are gone is to start fresh and delete all your files and rebuild your site. You don't want to risk exposing any of your customers to the hackers' messages and malicious code hidden within your site. 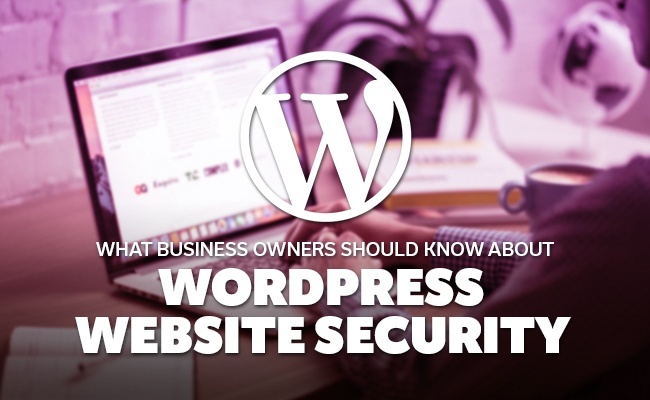 Every business owner knows that Wordpress website security is important. Unfortunately, knowledge alone does not always motivate website owners to actively prepare for a security breach. On the contrary, many business owners are so passive about securing their website that it usually takes a serious cyber attack for them to learn their lessons the hard way. Along with the price of recovering from a website hack is the heavy cost of exposing both personal and confidential information to malicious strangers. A security breach can be devastating for your business website. On top of losing the goodwill and trust of your customers and clients, you may also be liable for financial damage that results from the breach itself. 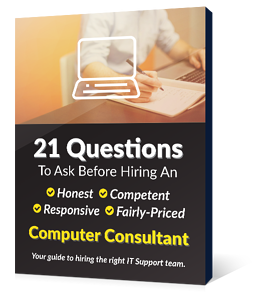 In the long-run, a business with a history of security breaches makes customers feel insecure and even skeptical about your professionalism. While no one is completely immune to security breaches, here are five things every business owner should do to safeguard their valuable data. This is only a partial list... stay tuned for Part 2! 1. Keep Your Site and Plugins Updated! The most common way hackers enter your Wordpress site is through outdated plugins or an outdated Wordpress install. This is by far the most important thing to do to prevent hackers getting into your Wordpress website. 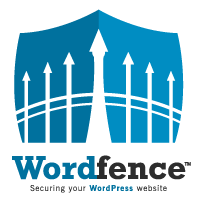 Use security plugins such as Wordfence to keep you and your customers safe. Security plugins are indispensable online security weapons. They are designed to scan your site for any file changes and they also block intruders from attempting to brute-force guess your password. Wordfence and similar plugins will also notify you if plugins are outated and need an update. Hackers are constantly finding ways to hack your site and database. Updating your system with the latest security will keep your line of defense strong and ready to fend off unexpected attacks. "Scheduling regular backups to an external hard drive, or in the cloud, is a painless way to ensure that all your data is stored safely," says Business Insider. We recommend using BackupBuddy created by iThemes. BuckupBuddy regularly creates automated and scheduled backups of your Wordpress files and database. Having a recent, uninfected version of your site is invaluable in saving time rebuilding everything in case a hackers strikes. BackupBuddy also has an extremely quick and easy way to move your site from one domain to another if you ever need to. Also, create a place to store your backup word processing documents, databases, financial resources files, payrolls and other important information for easy access and recovery. If it is too much to keep up with all the backup chores, you have options to let your PC or Mac systems automatically backup on an hourly, daily or even weekly basis. Having a strong password means creating a set or string of letters, symbols and numbers that do not have any direct reference to your phone number, zip code and social security number. Strong passwords use both lower and upper case letters. 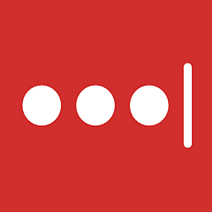 We recommend using LastPass. Using a password manager is truly the only way to ensure all your Wordpress database passwords and login passwords are long and secure. Many businesses find multifactor authentication (MFA), which asks for answers to security questions, codes sent to their cell phones, or biometric verification, extremely useful. By requiring not only the password but also MFA on your computer and whatever computer is hosting your website, you are making sensitive files less accessible to people who have maliciously decoded your password. In addition to being a defensive business owner, you also need to be on the offensive to make sure that your data is safe all the time. Monitor your computers for suspicious activities. Keep an eye out for spam and only download files from a trusted website. Encourage your employees to be security whistleblowers and report anything that appears "fishy" to their instincts. That way, you can avoid further compromises while keeping the damage and scope of data breaches to a minimum. As a business owner, it's critical to lead by example and educate your employees about the nature and effects of cyber attacks. Train your employees to recognize potential data breaches and common hacking attempts through periodic workshops and workplace virtual security sessions. Moreover, employees should be encouraged to backup their files and keep their antiviruses updated. Finally, a business owner should be diligent to study data security related articles and be informed of the most recent security improvement (and leaks). Doing so will help you to prepare for the future and stay on top of the cyber security battle. To see if your Worpress website has been compromised, you can do a free scan at Securi here. Look into our Wordpress Hosting Plus subscription if you have a Worpress website and would like us to take care of everything mentioned in this blog post. It really is a worry-free way to have a Wordpress site.